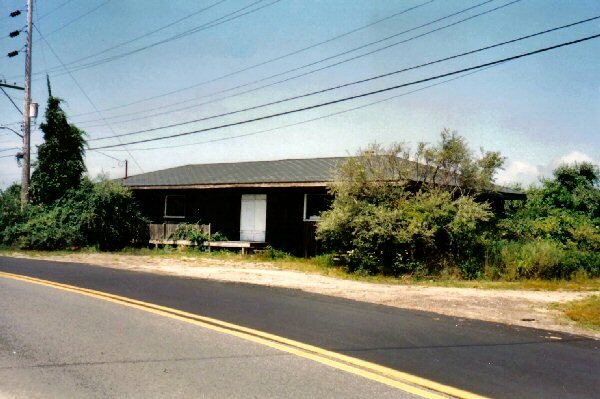 Bridgehampton Freight House in background. 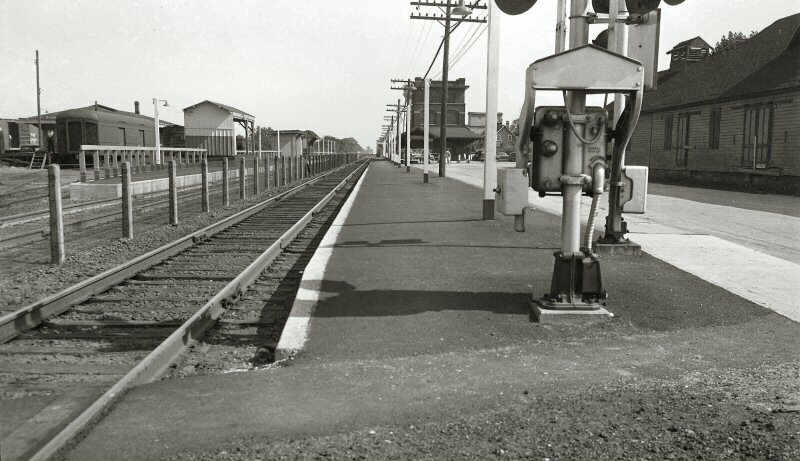 TOS (train order signal) at Bridgehampton station. 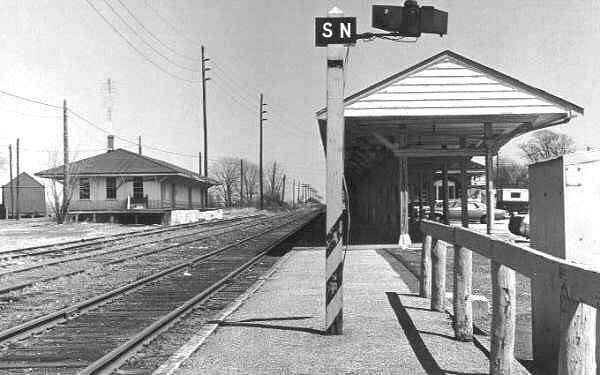 View is looking west. 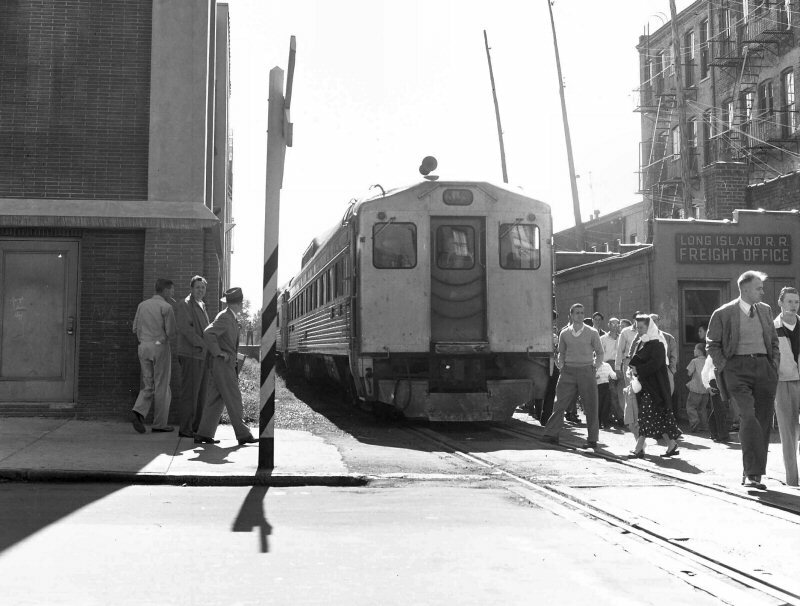 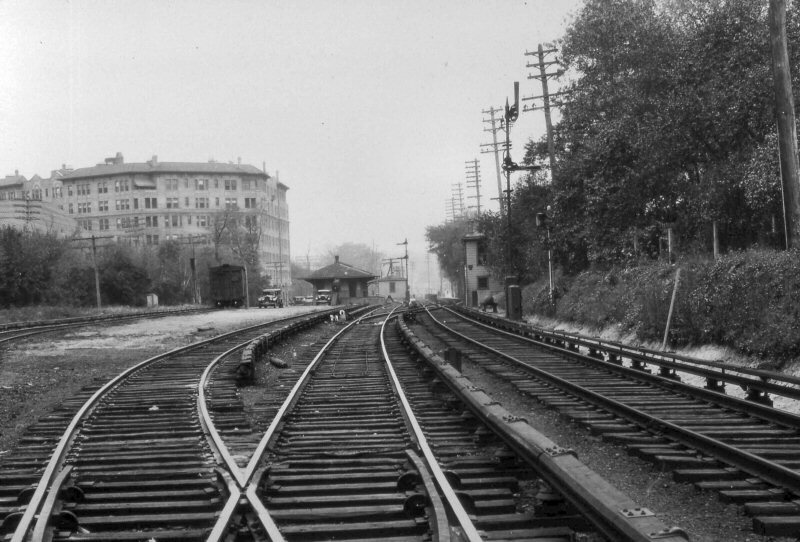 Flatbush Ave. Station is in the background alongside the EL and the Williamsburgh Savings Bank tower beyond. 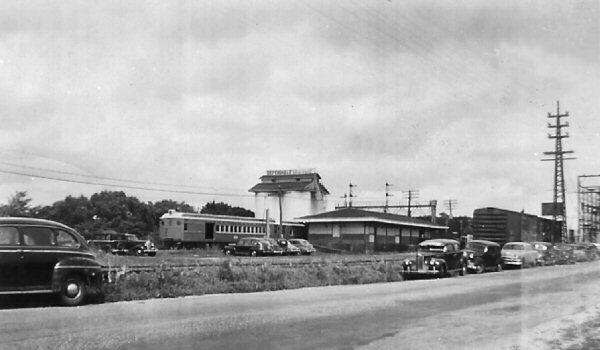 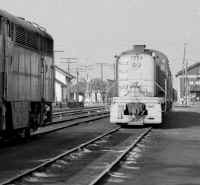 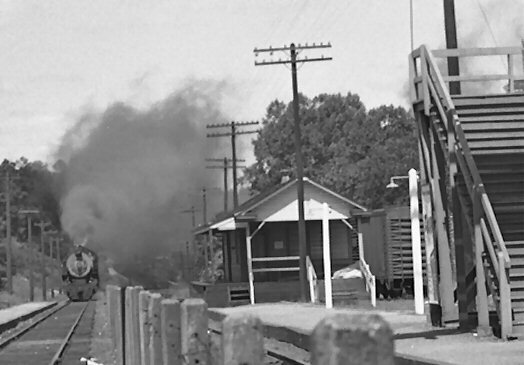 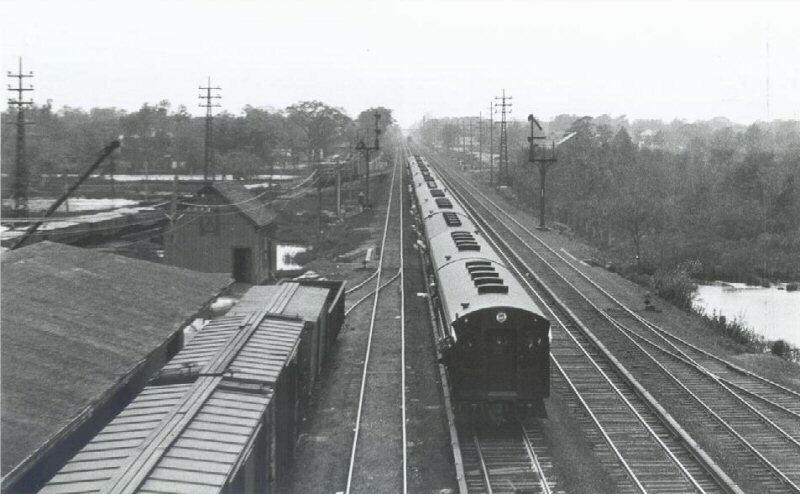 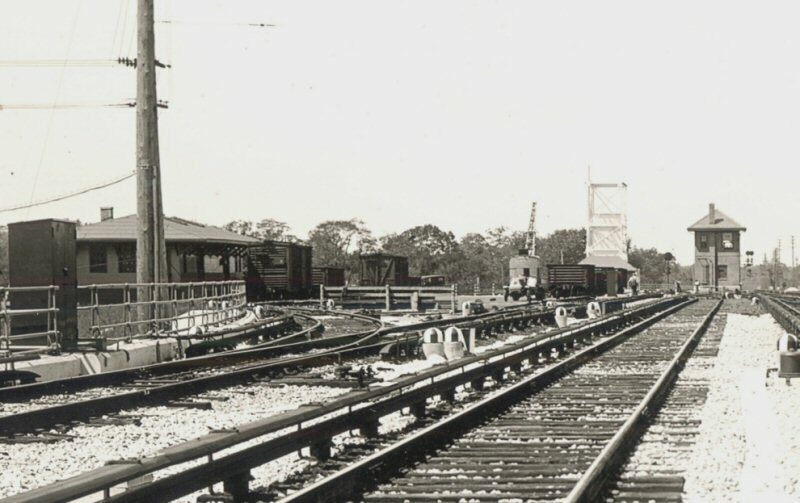 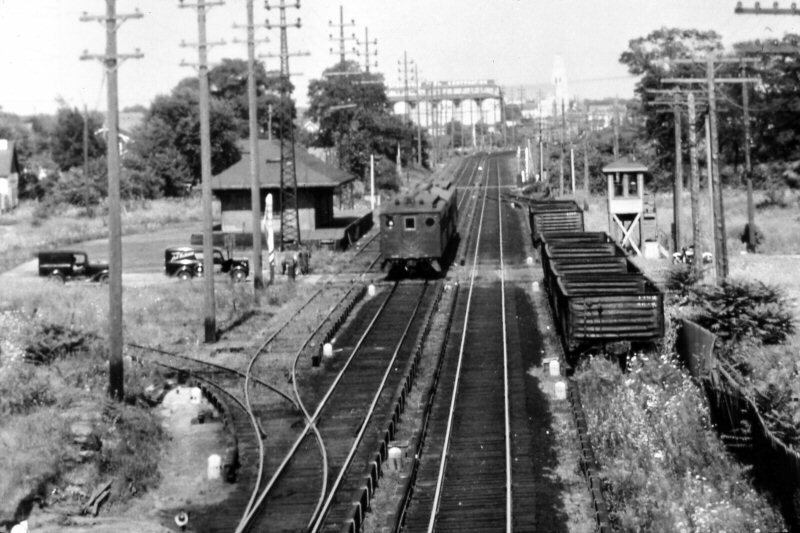 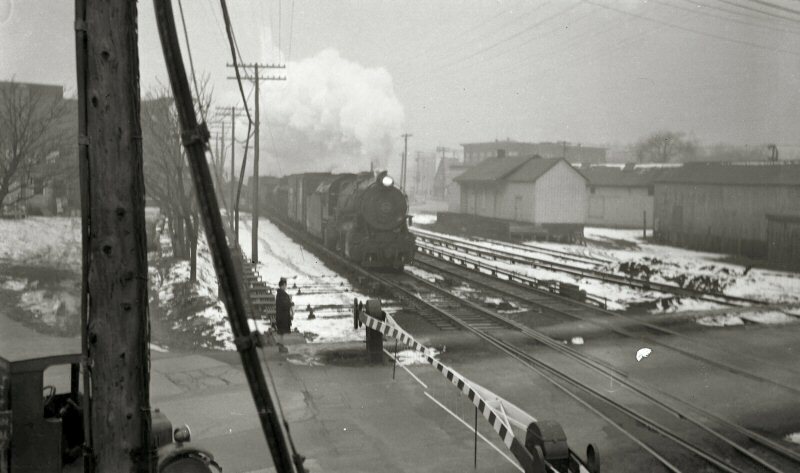 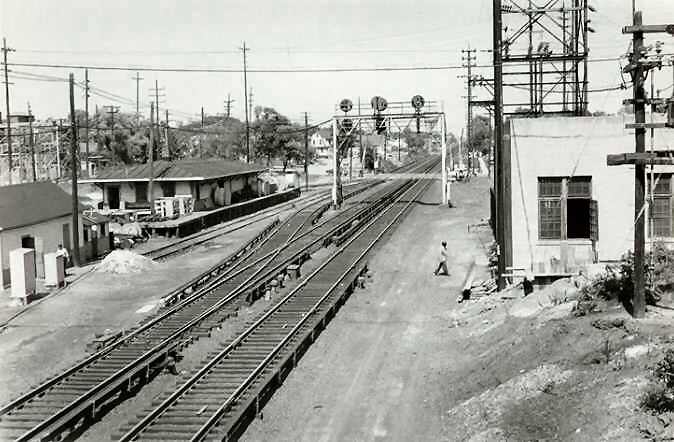 Lynbrook MU 2-car train westbound passing freight station east of Lynbrook 1935. 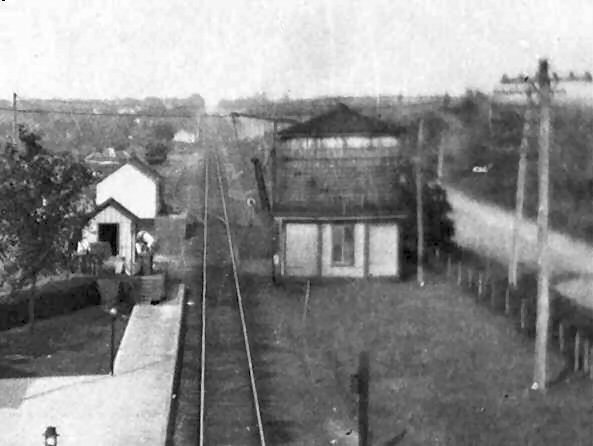 View looking east. 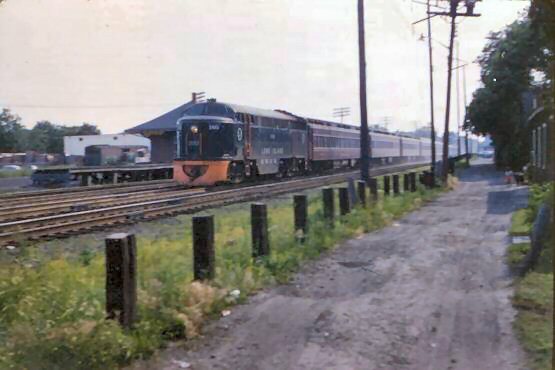 Note the multi-silos of Dependable Fuel in the background as well as the spire of St. Agnes R.C. 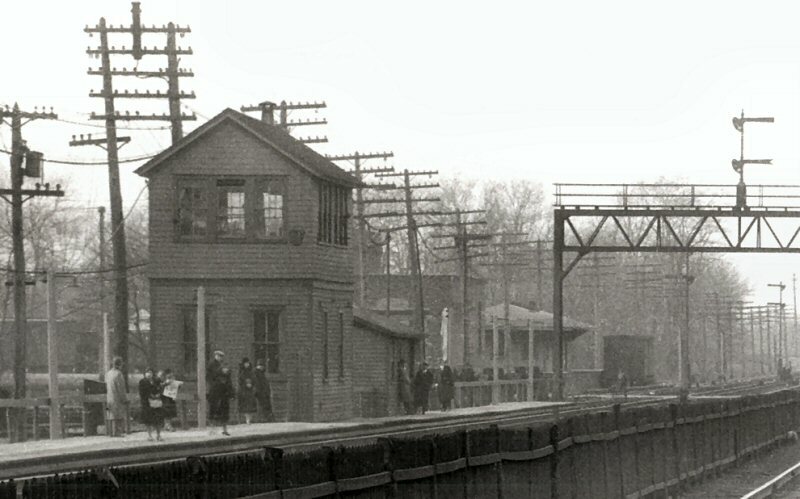 Cathedral across from the Rockville Centre station. 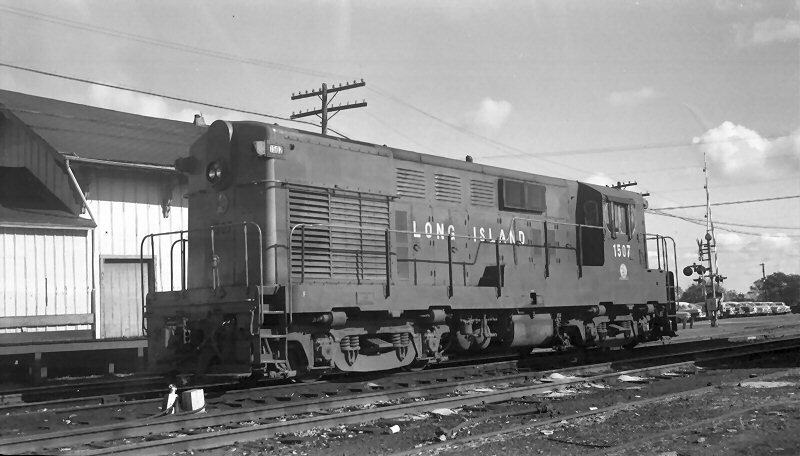 H10s #111 westbound at water spout - Riverhead - c. 1952. 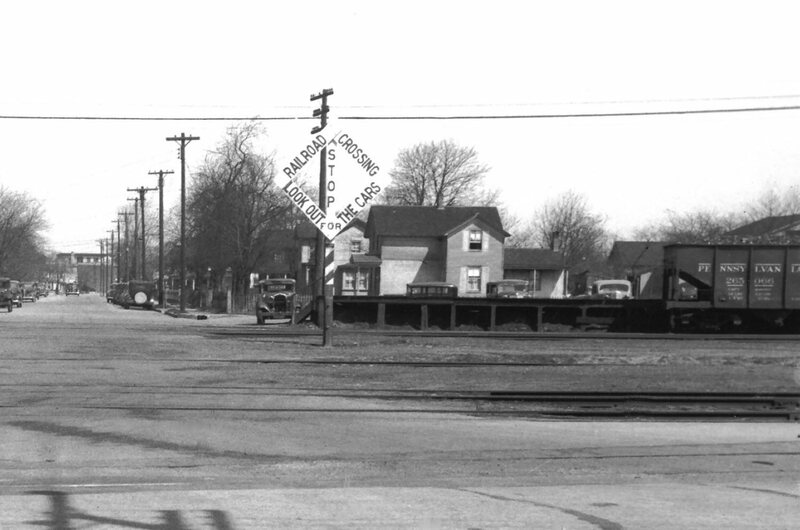 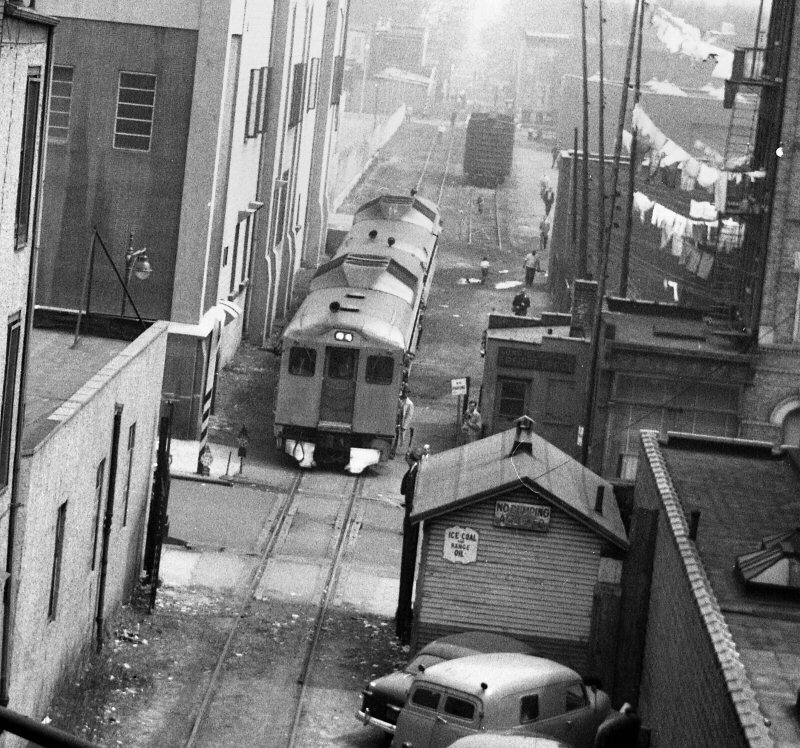 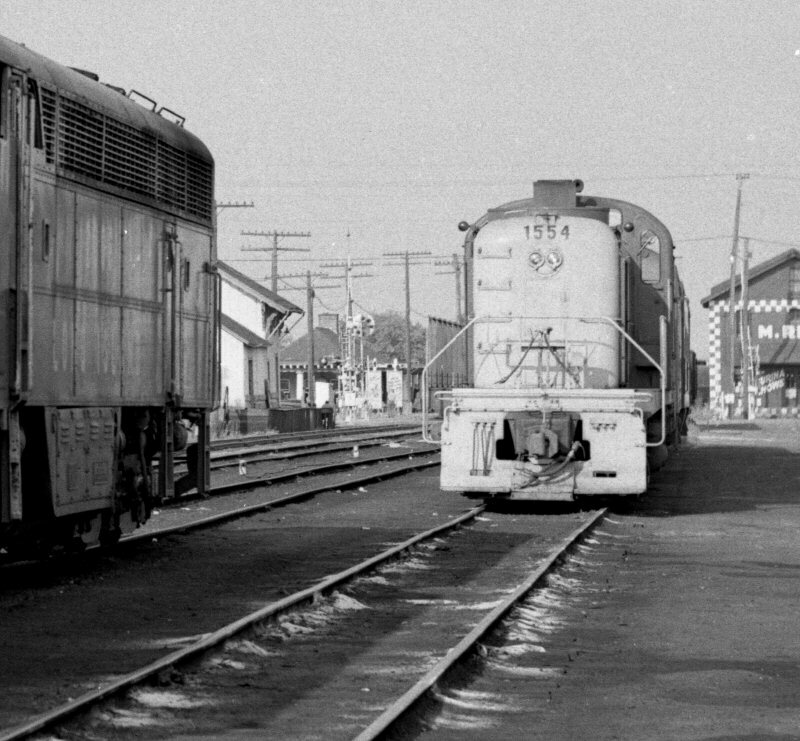 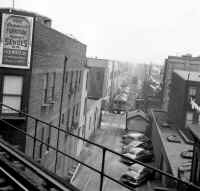 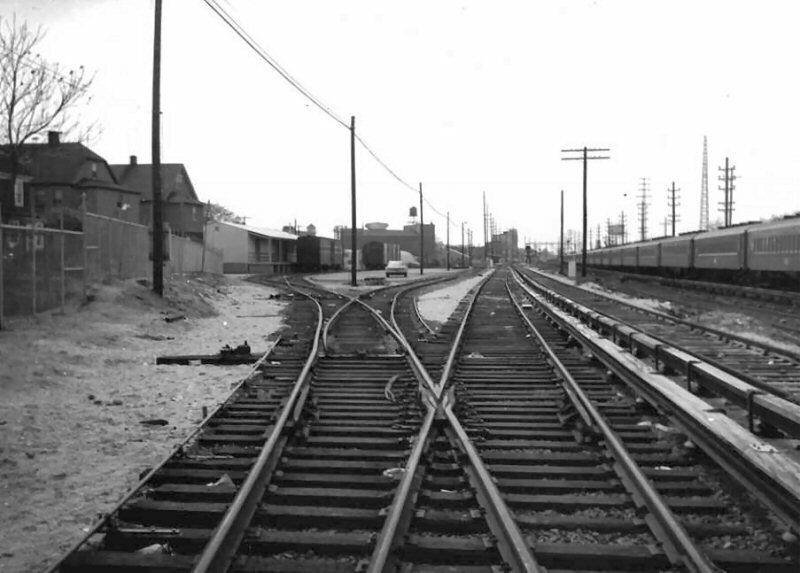 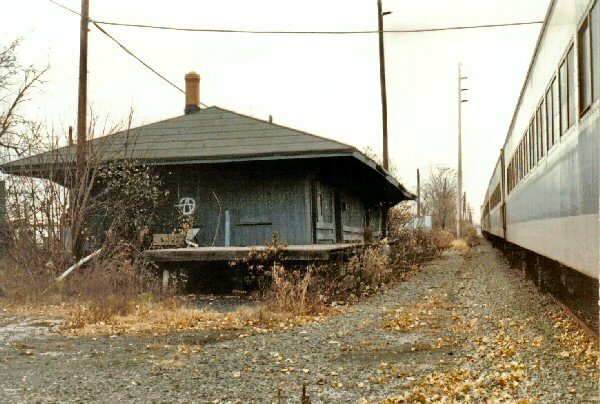 Eastbound express house at right, freight house with boxcar spotted, at left across tracks. 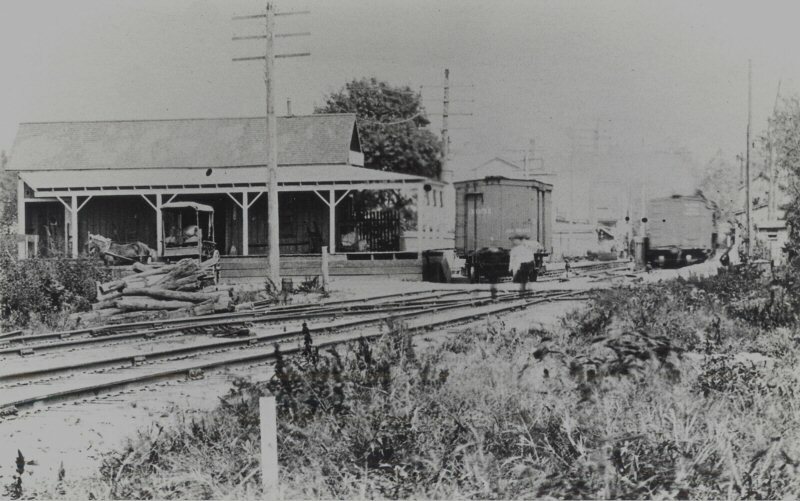 Southampton freight house at Willow Street. 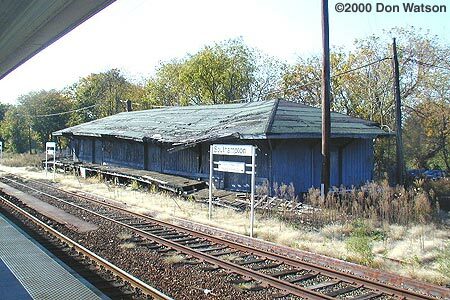 View NW Razed 1/24/2006 due to its deteriorated condition. Valley Stream Freight House 06/1933 Freight house view SE until 1955, then used as Express House. 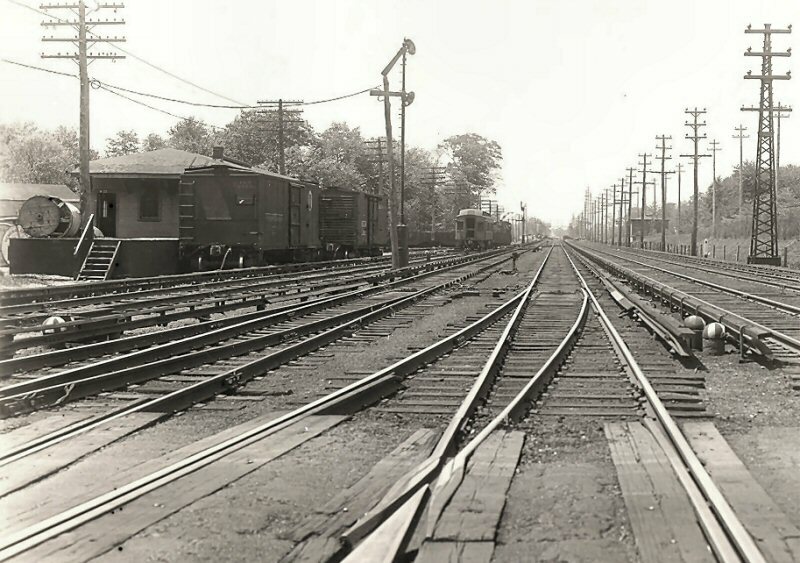 Note: Rockaway Branch far left. 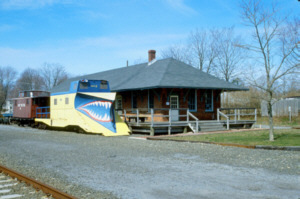 As for design . . . 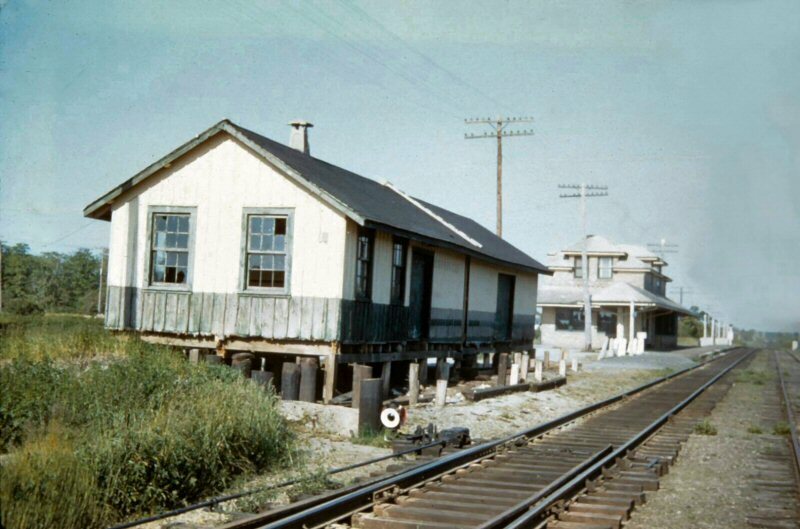 I don't know that there were any "set" designs for small freight and/or express houses. 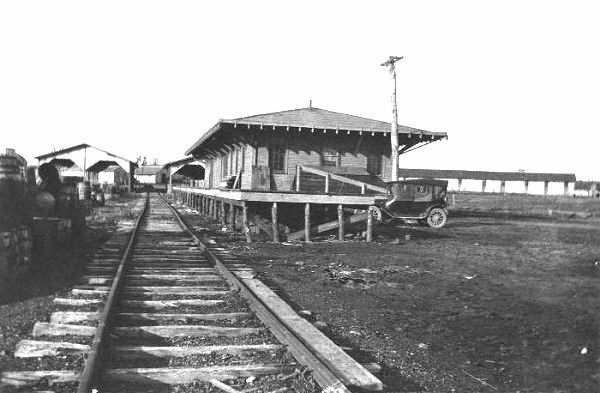 Larger depots had both express houses and a freight depot. Patchogue for example. 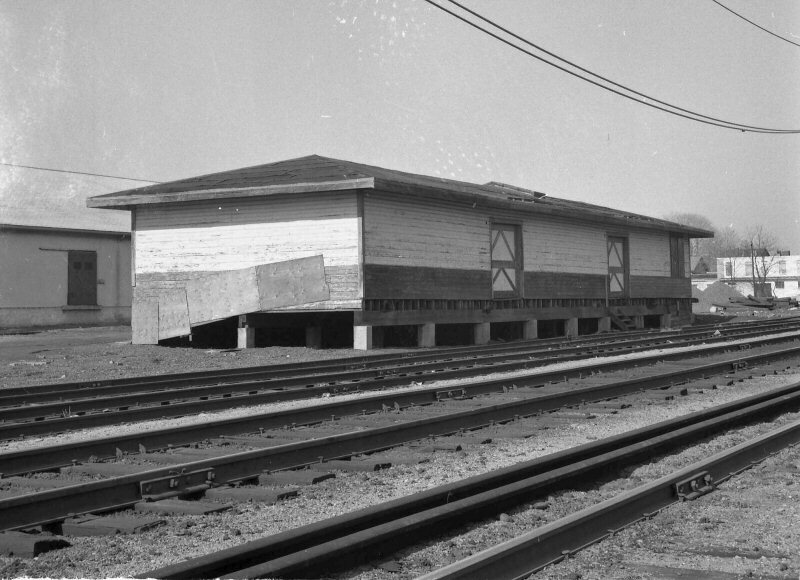 I've seen many larger freight houses on the LIRR that were of similar construction, so there may have been set plans for them. 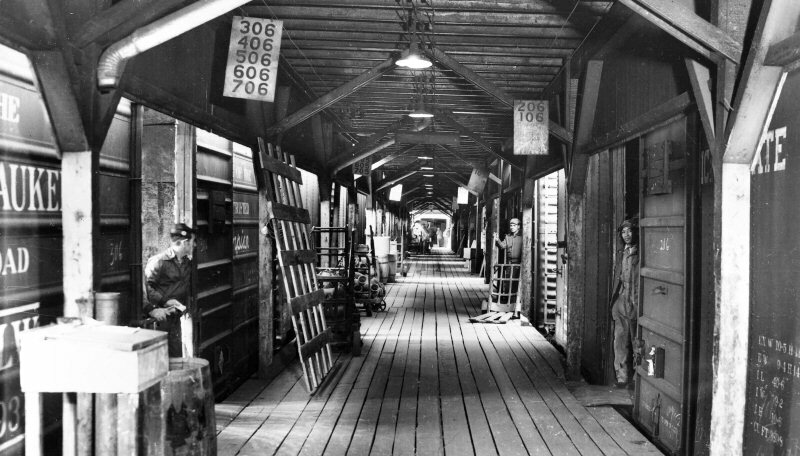 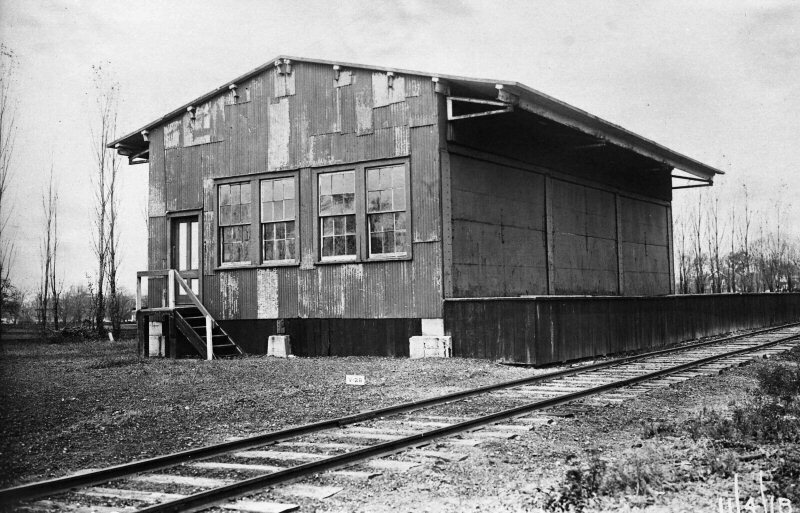 These were long, rectangular buildings with hip roofs, and high-level platforms on 3 sides with the back open to allow trucks a loading or unloading dock. 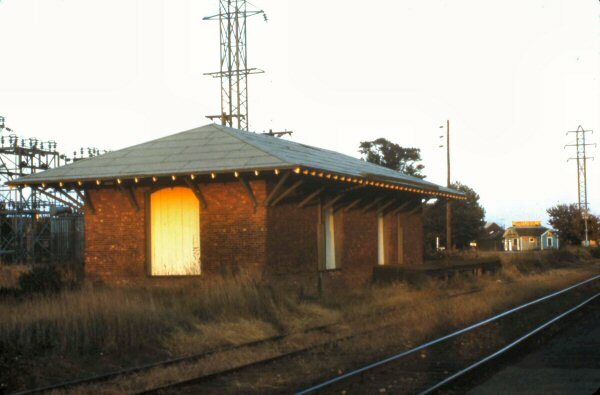 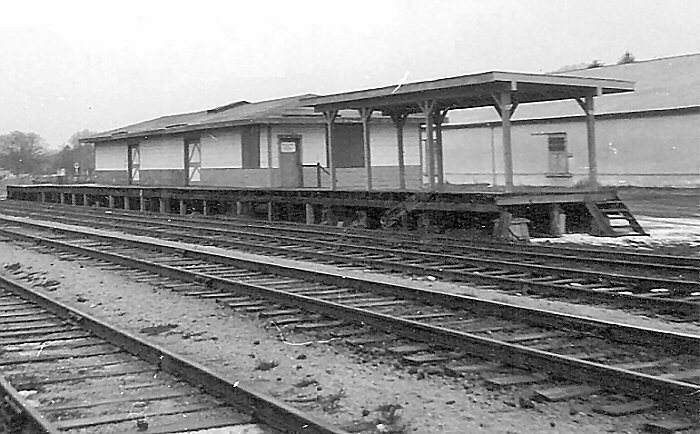 As for smaller stations: Many of their freight houses were simply the former depot building. 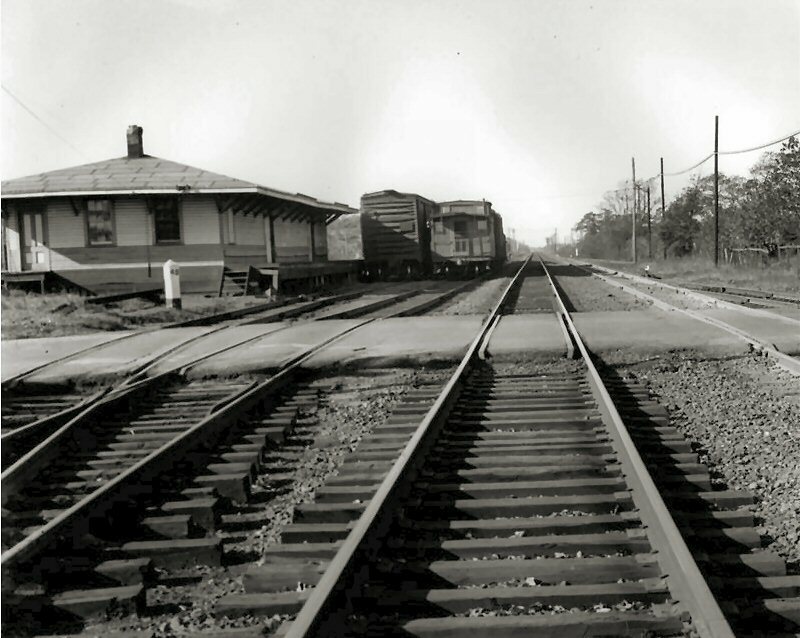 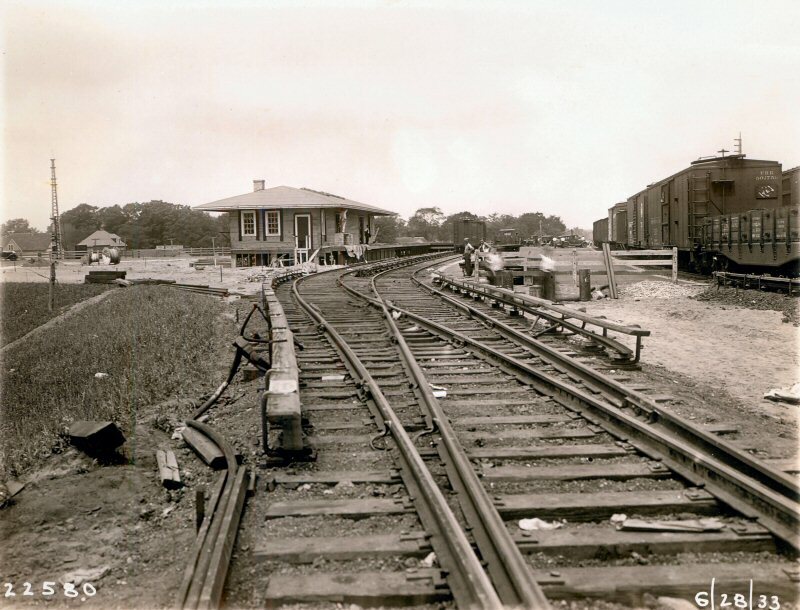 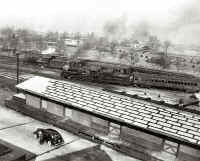 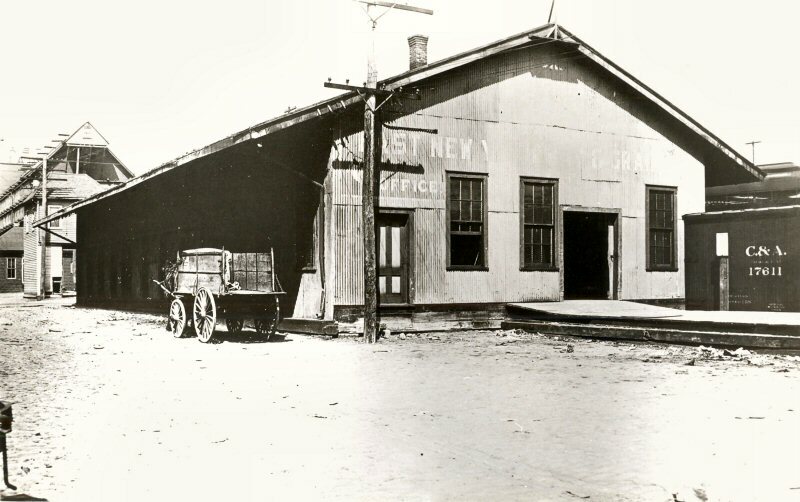 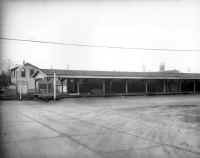 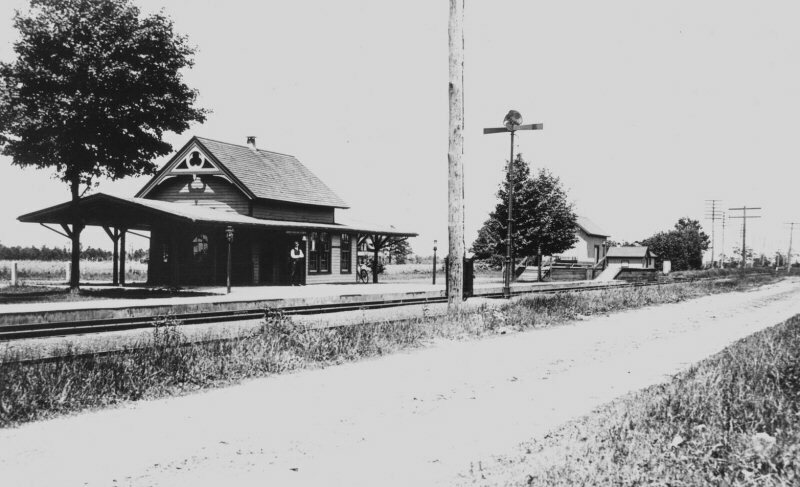 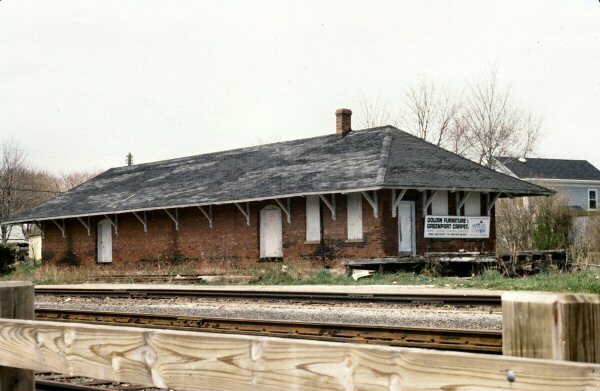 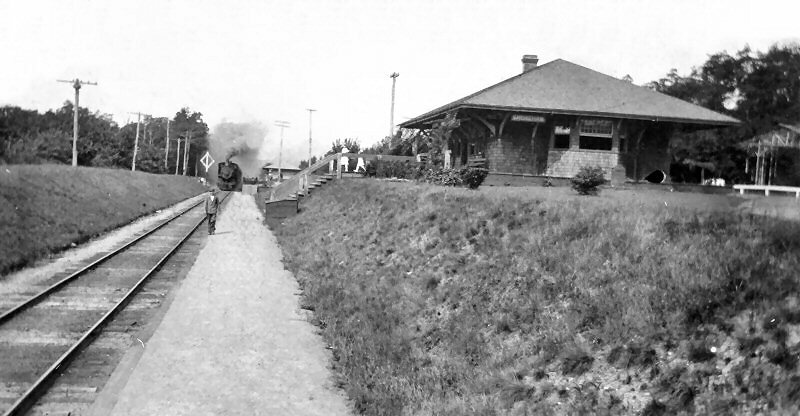 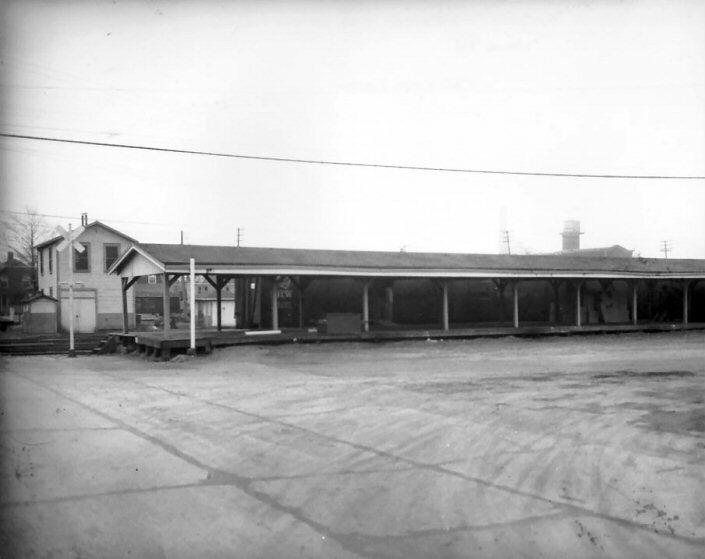 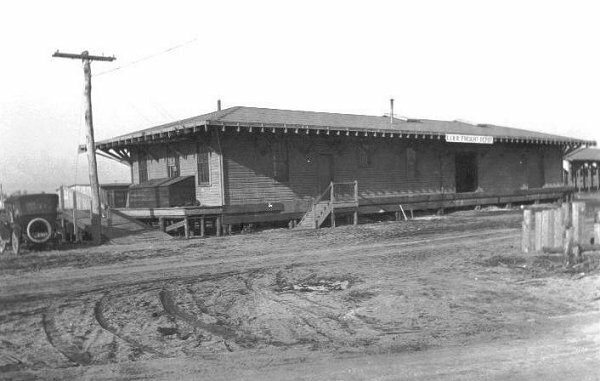 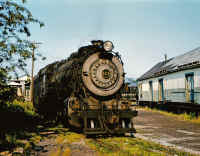 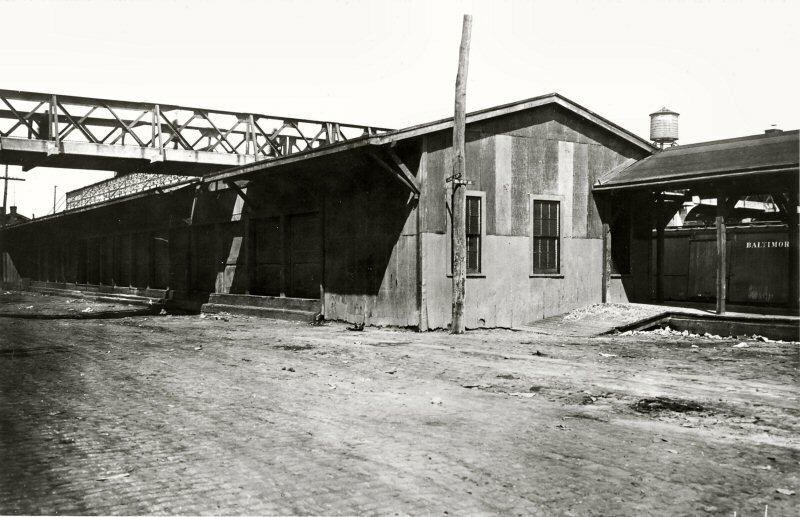 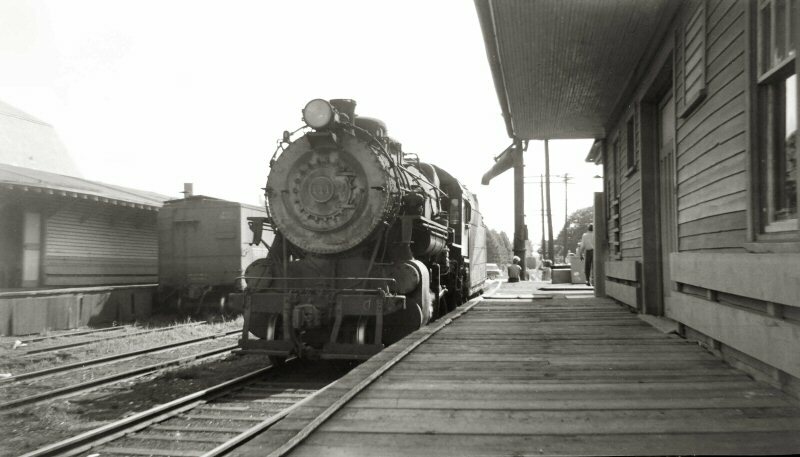 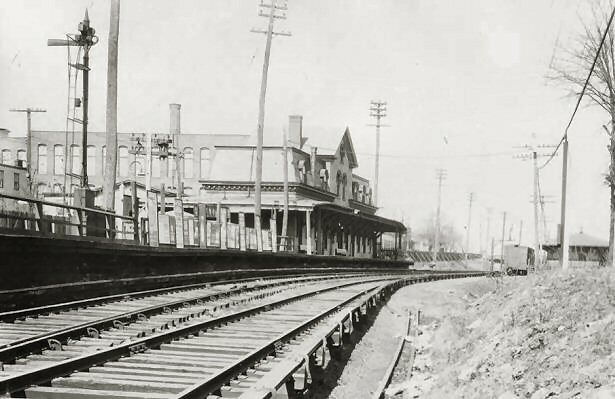 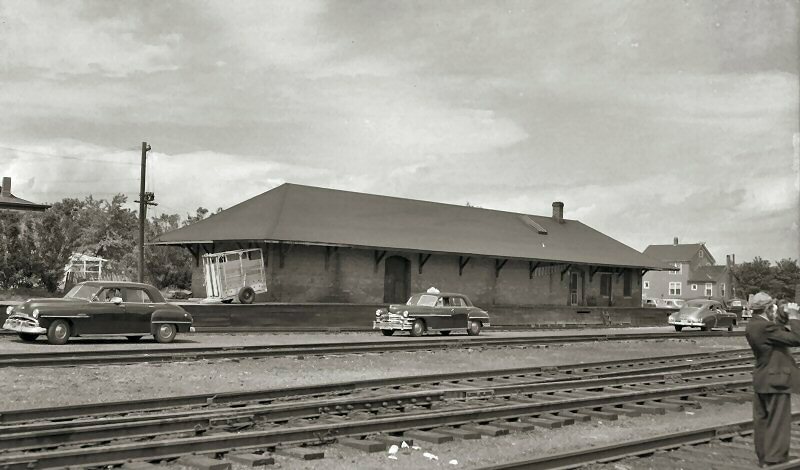 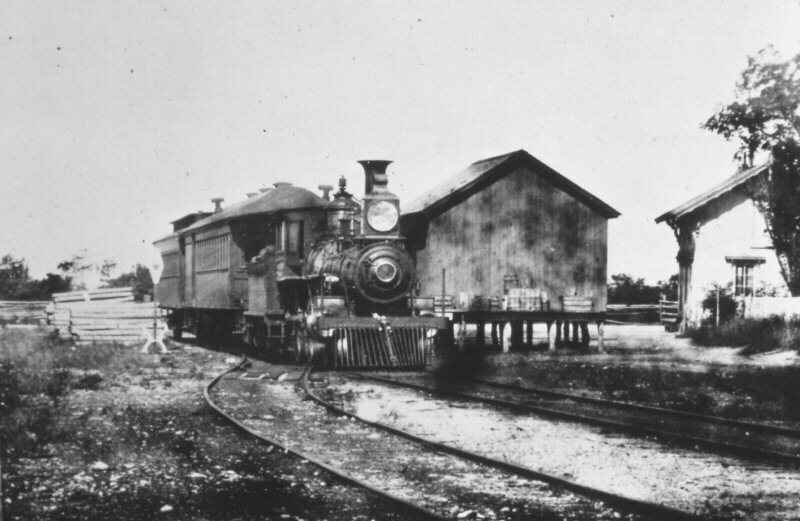 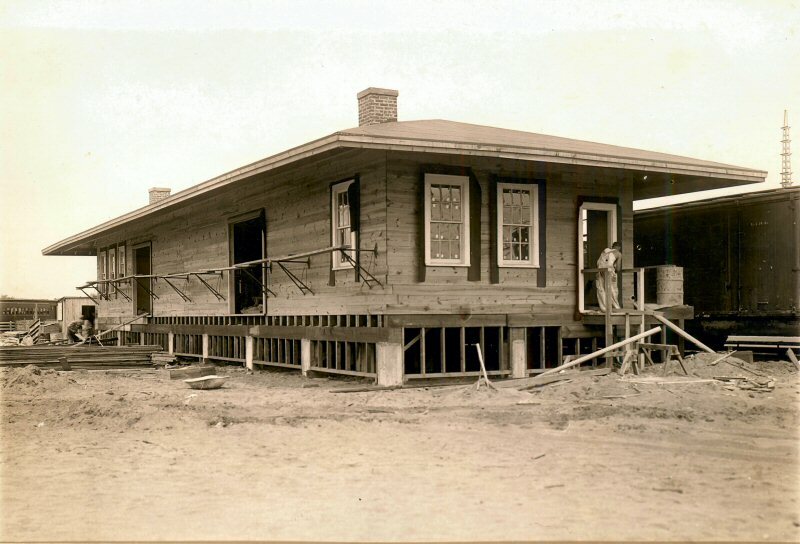 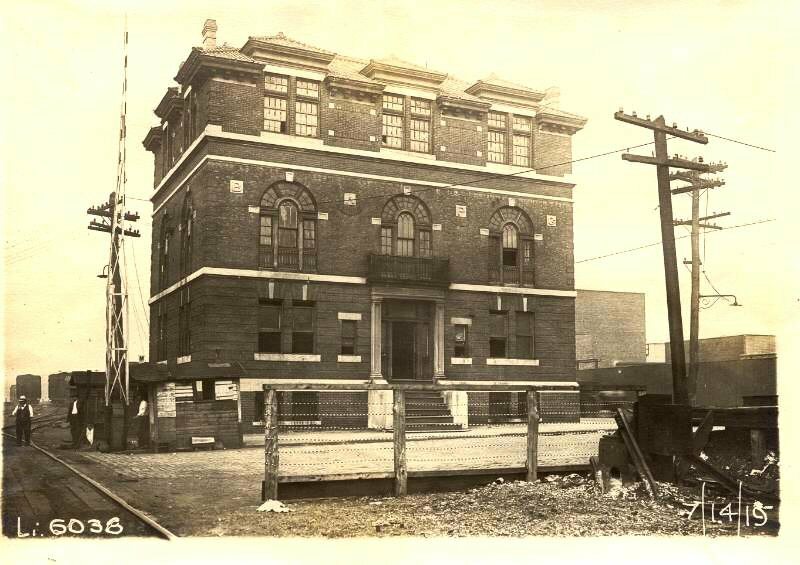 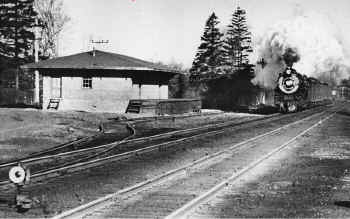 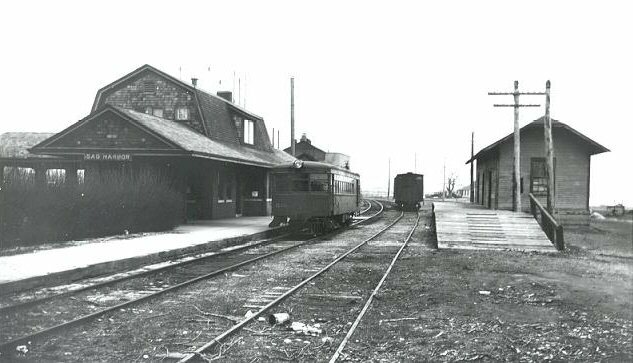 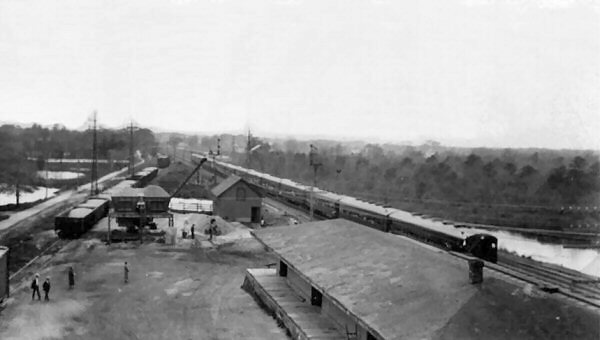 When the depot was replaced by a "newer" structure, the earlier depot was moved down the track a ways, or the new depot relocated slightly east or west of the former location and the old depot structure became the freight/express house. 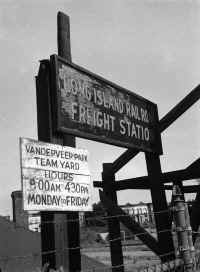 Examples of this would be Hampton Bays, Springfield, Port Jefferson, to name but a few. 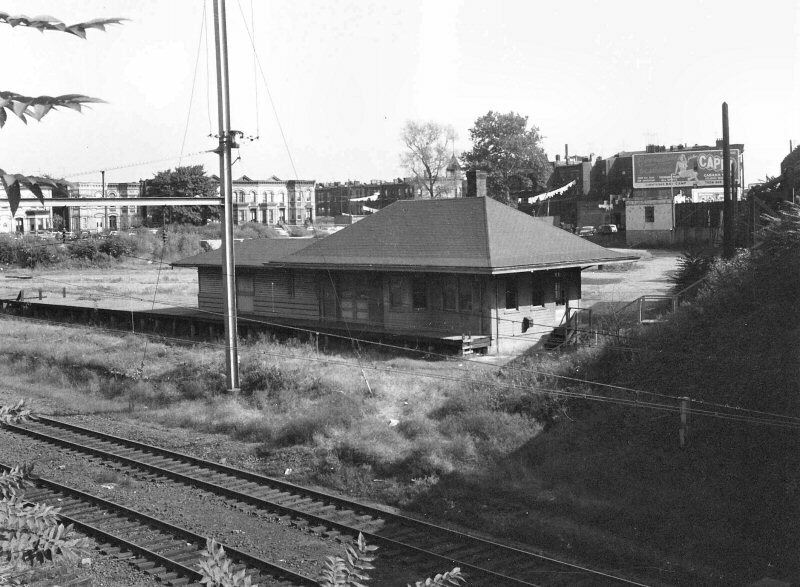 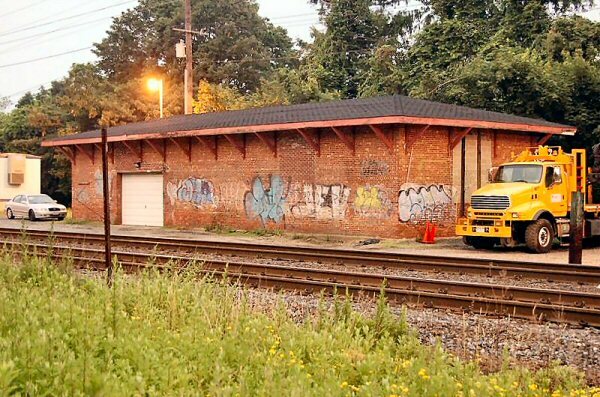 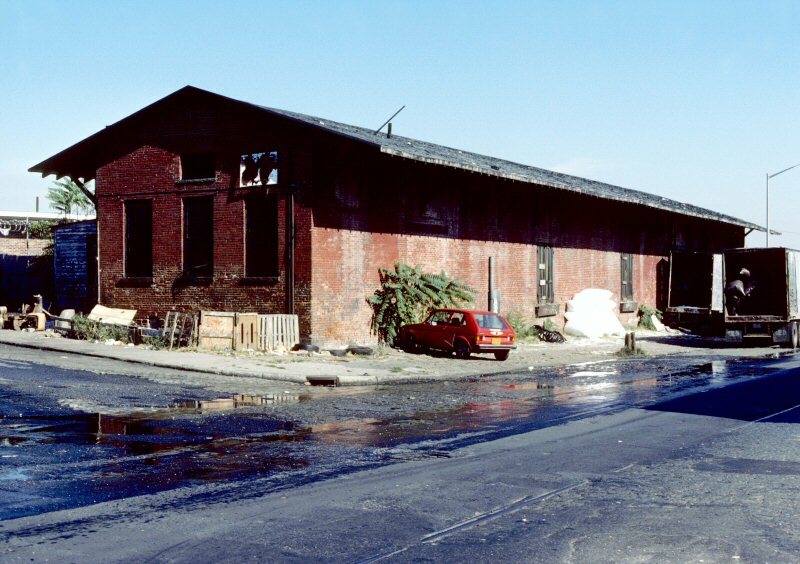 Amityville's freight house was an ancient brick structure dating from SSRR ownership! 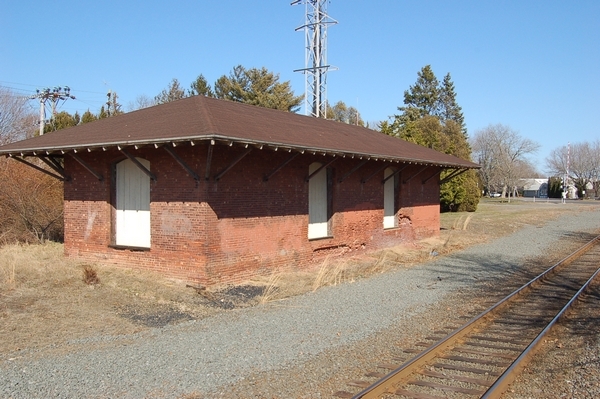 Freight houses were usually much larger than express houses, with some exceptions. 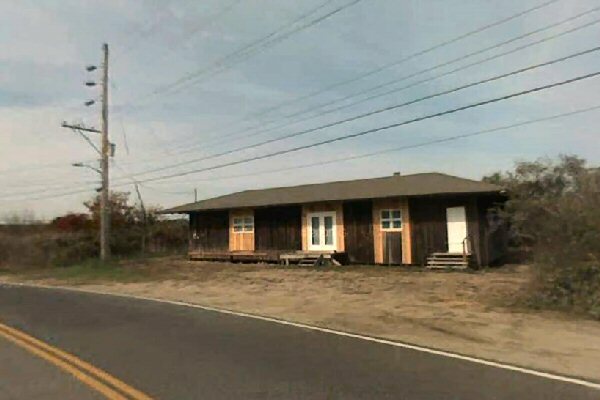 Patchogue was an exception as was Westhampton, for example. 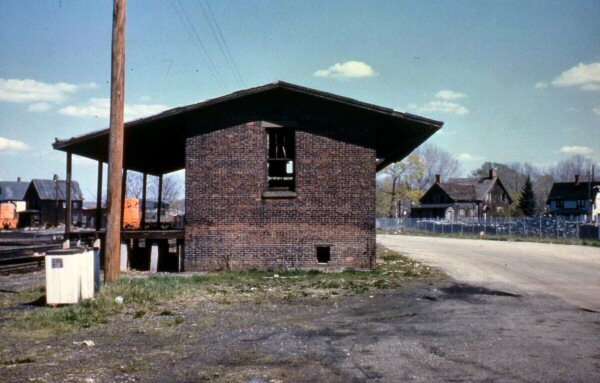 If there was no enclosed express house at either end of the platform, just an open air, high level platform with access ramp, then the depot building had its own storage bay for baggage and express. 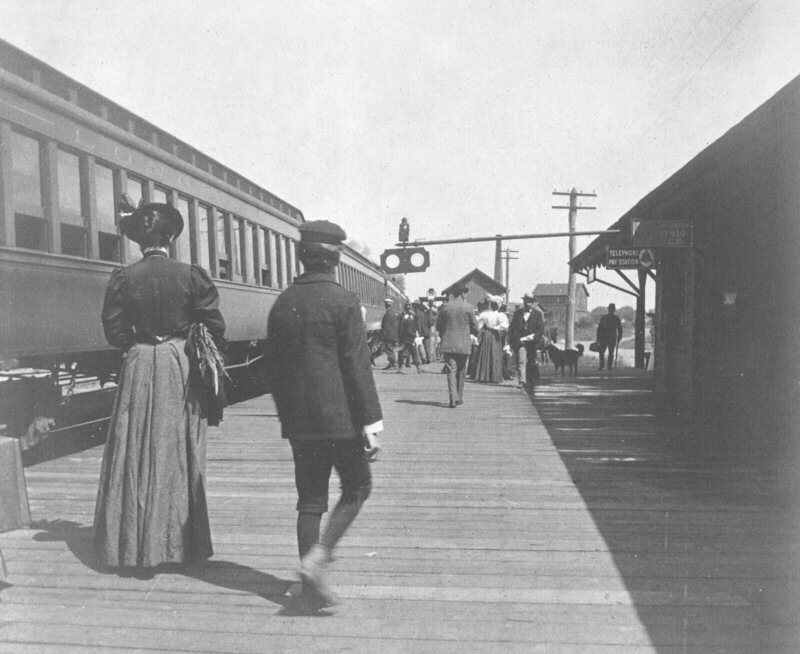 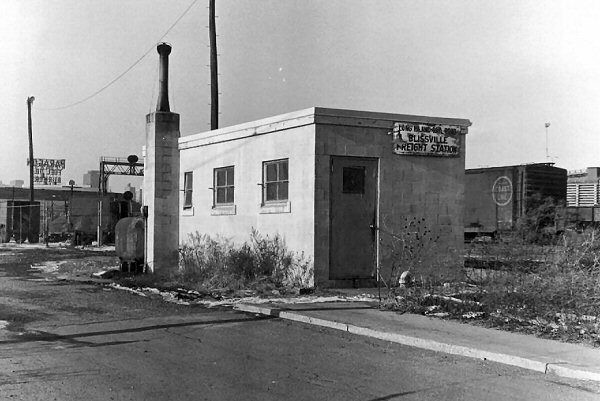 By looking at a depot photo where this occurred, you’ll see a single-wide door leading into the passenger waiting room and a double-wide door leading into the express/baggage room. 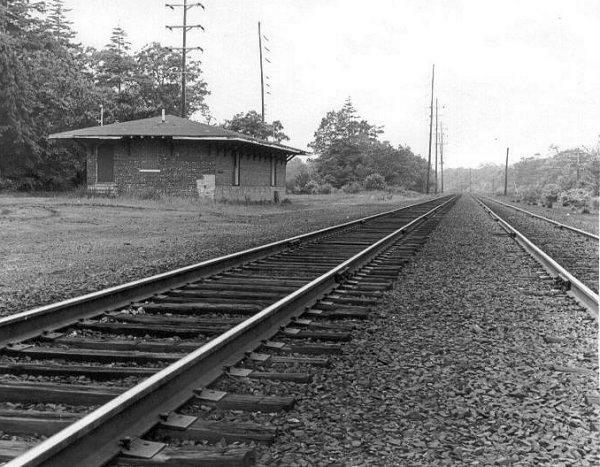 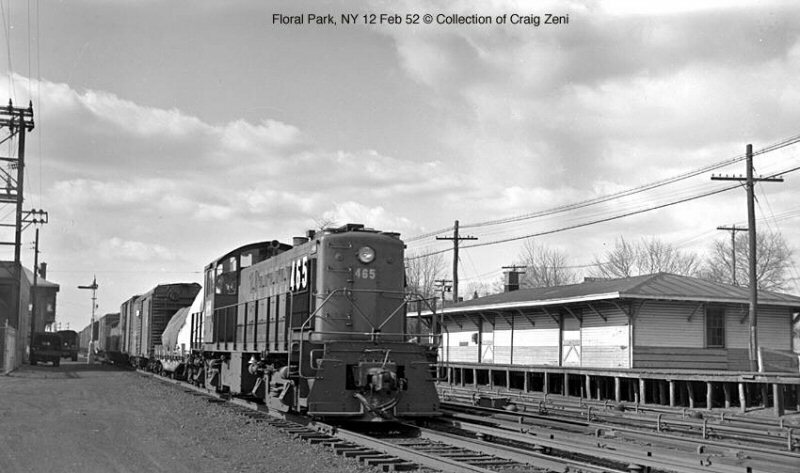 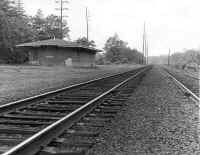 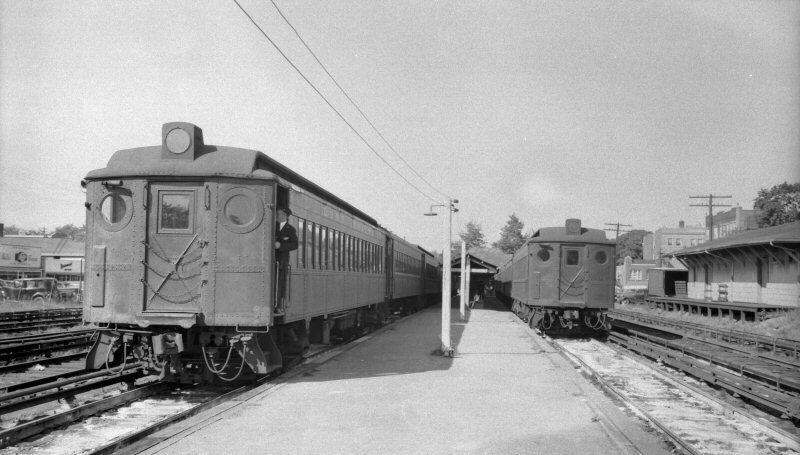 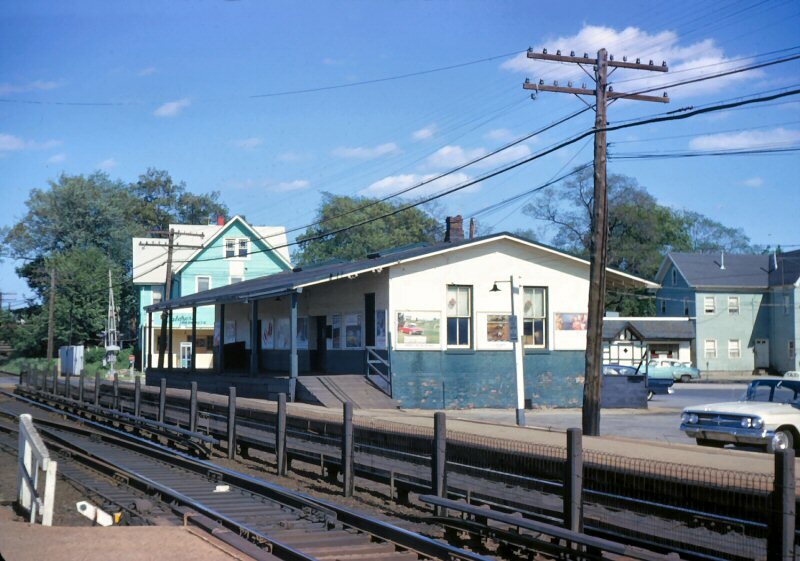 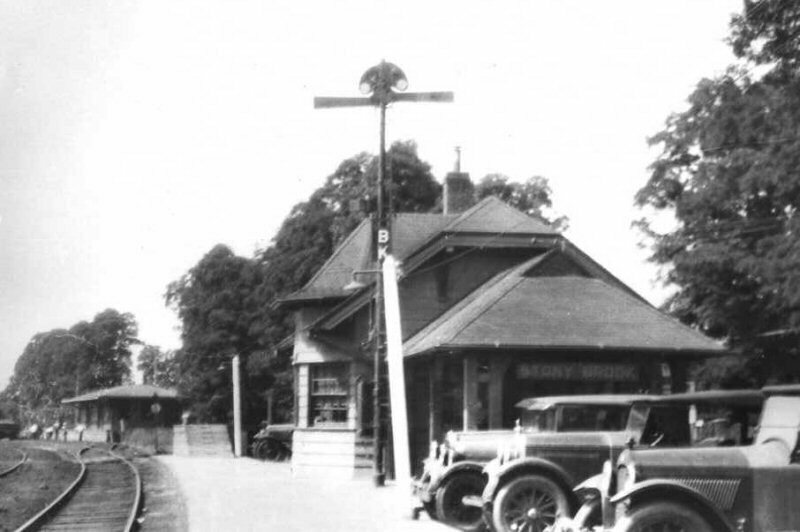 For example: The trainmen’s room at the old Ronkonkoma station was originally the express/baggage room. 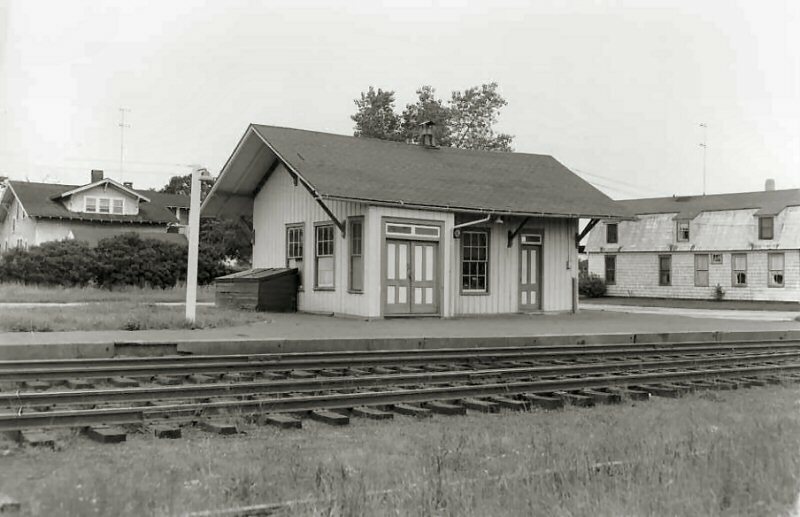 It used to have the old double-wide, wooden doors visible from the platform. 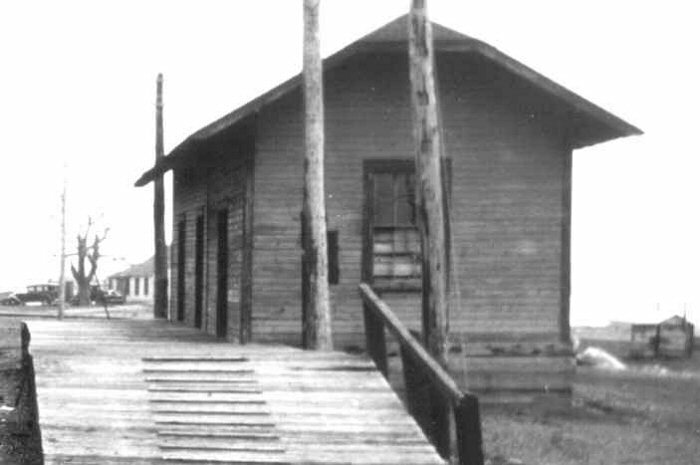 This structure is similar to the one sent you previously at Miller’s Place. 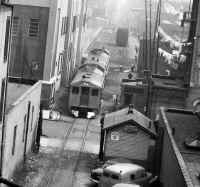 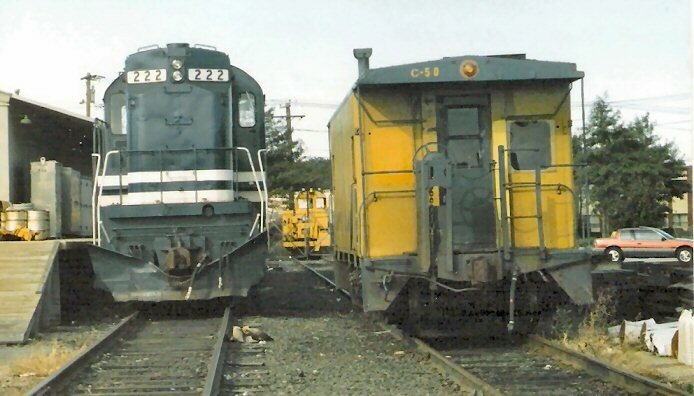 If you saw double doors trackside and at the rear of a depot, that was the express portion of the depot. 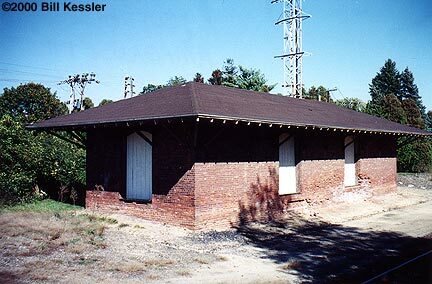 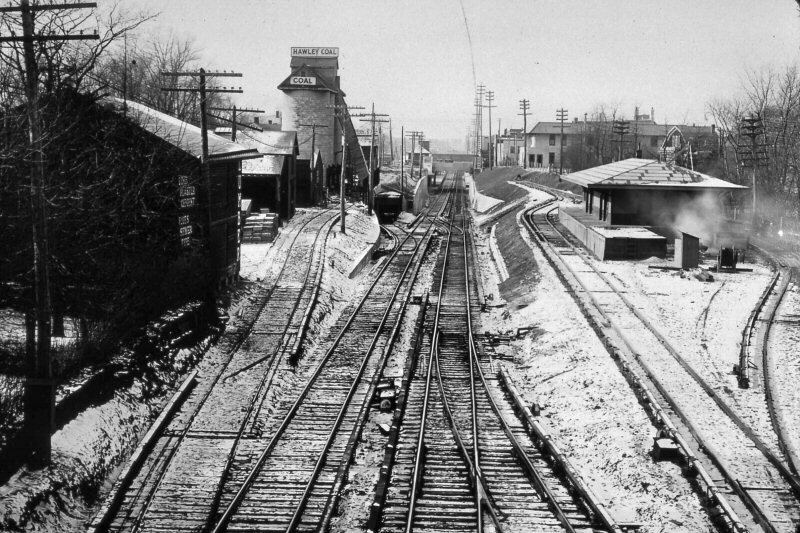 Many smaller, line stations were constructed in that manner.